Poly Bernantene | What is ML Reading? 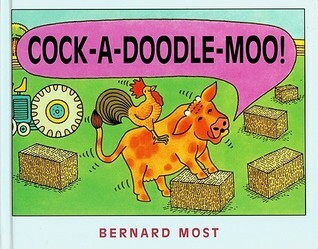 There are many books about animals making the wrong sound. Children all over the world find animals making the wrong sound comical. The most recent arrival at the library proves this. Ribbit! 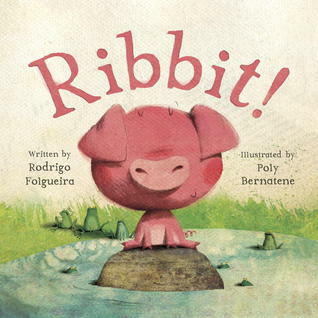 is written by Rodrigo Folgueira and illustrated by Poly Bernantene. Both are from Argentina. 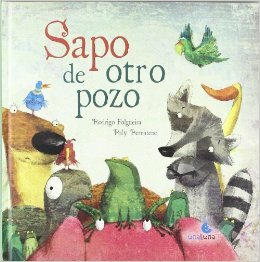 The Spanish title for this book is Sapo de otro pozo and the pig says “!Croaca!” instead of “Ribbit!” I didn’t take Spanish so I am relying on Google Translate. I’m guessing the publisher thought the translation Toad out Water was too similar to A Fish Out of Water by Helen Palmer and illustrated by P. D. Eastman. I find it interesting the covers are different too. Bonus Question – Who was Helen Palmer married too? Click on A Fish Out of Water to find the answer.